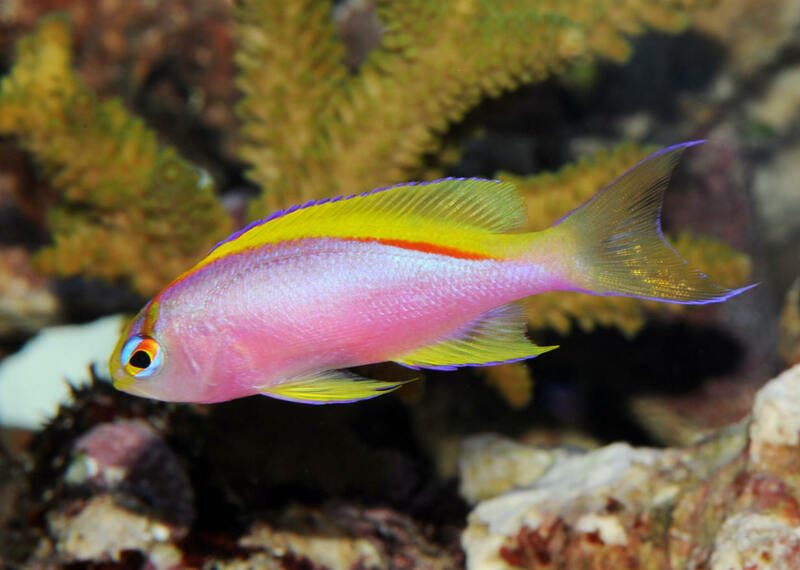 Pseudanthias randalli Lubbock & Allen 1978, Randall's Fairy Basslet. West-Central Pacific; Marshalls, Philippines to Micronesia. To 7 cm. total length. Male in Quality Marine's booth/tank at the IMAC West conf. in 09. 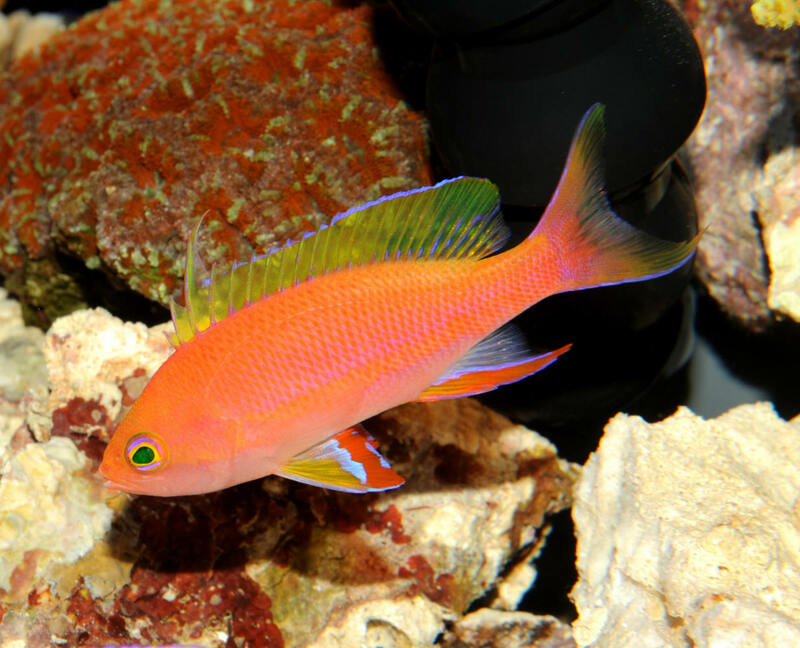 Pseudanthias ventralis (Randall 1979), the Longfin Anthias. Two subspecies recognized, P. v. ventralis in the western Pacific, P. v. hawaiiensis about Hawaii. 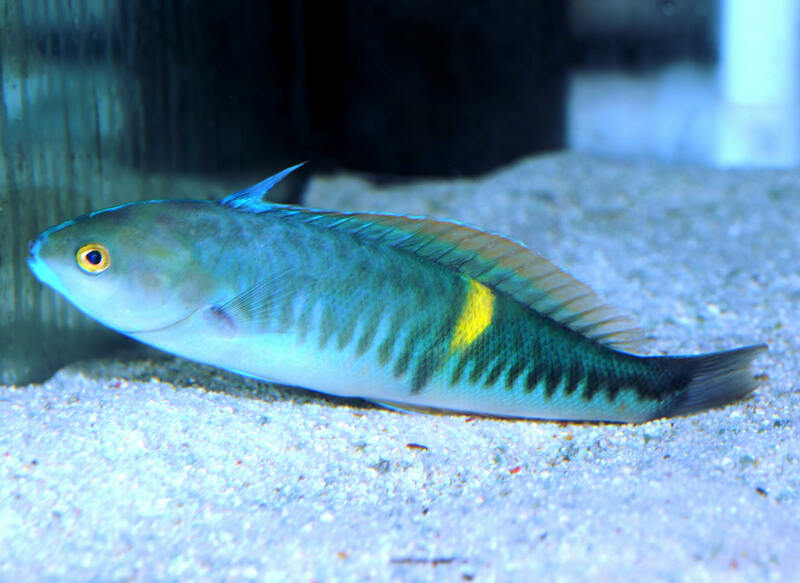 Deepwater species, very common between 300-400 feet! Hardy when kept in dim lighted systems. A changeling here in Quality Marine's booth/tank at the IMAC West conf. in 09. Pseudocoris bleekeri, here at a marine wholesaler's in Singapore, during the Aquarama tour 09. 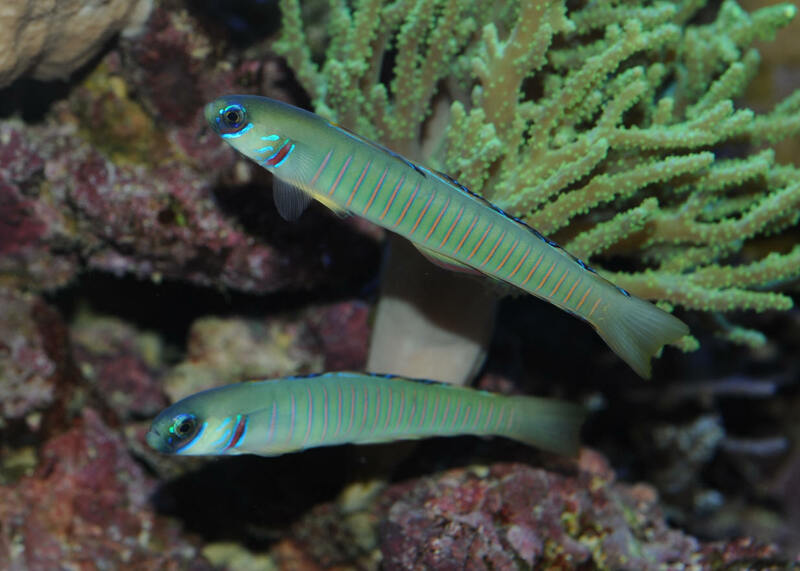 Ptereleotris zebra (Fowler 1938), the Chinese Zebra Goby. Indo-Pacific, Red Sea to Marquesas. To a bit over four inches in length. Found in groups in the wild. Photographed at Preuss's Tropicals in MI 09.